Super Bowl live at The Stag’s! 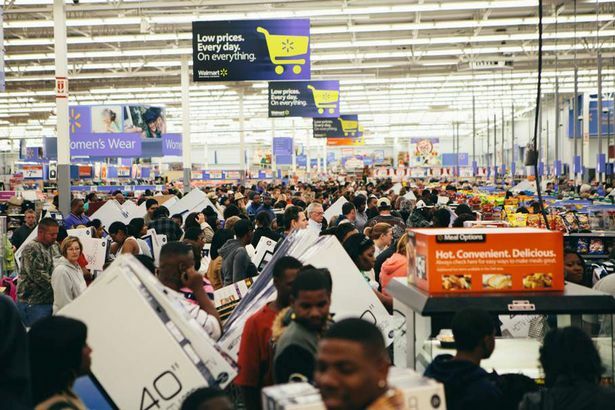 Roll up, roll up, for the greatest show on earth! And if it isn’t a wardrobe malfunction or a poorly co-ordinated shark, it’s gonna be a great game anyway! 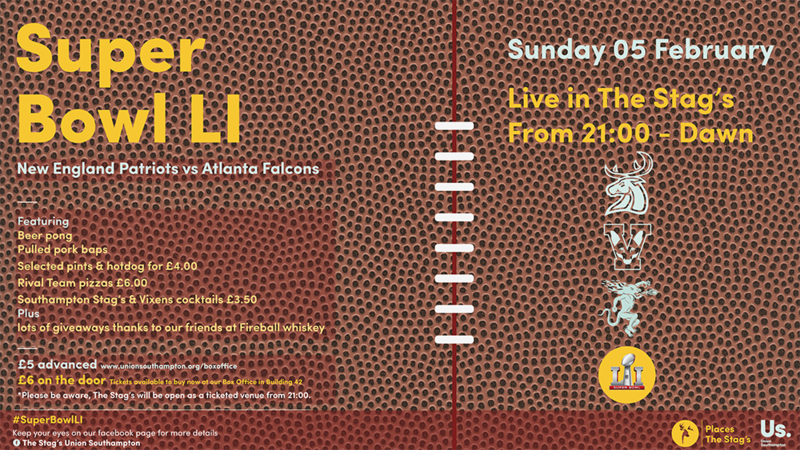 That’s right, the 51st Super Bowl will be aired live straight from The Stag’s on Sunday (05 February) night from 21:00. Will Hillary clinch it or will America play their Trump card? 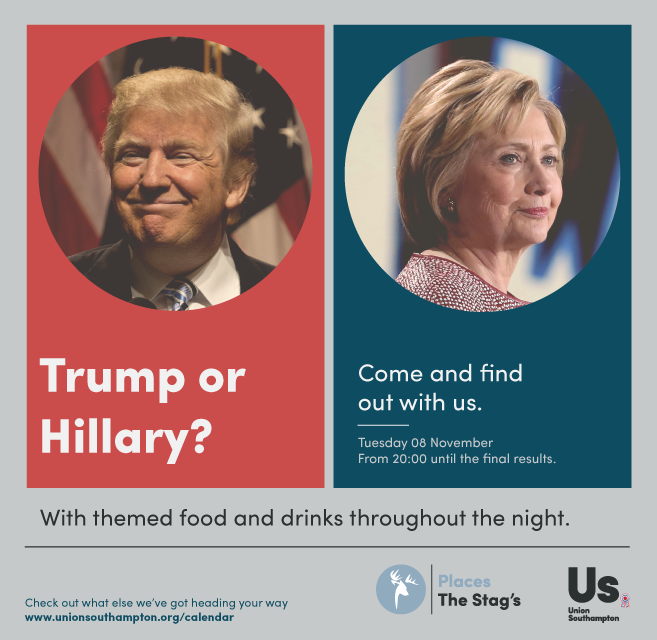 We’ve teamed up with Wessex Scene and Surge to show the U.S. Presidential Elections results at The Stag’s. Find out the results with us on Tuesday 08 November from 20:00. After the success of events in years gone by, it’s back again…the infamous Velvet Lounge will be taking over The Bridge for a night of Burlesque and Cabaret. For only £5 you can indulge in a night of vintage inspired entertainment hosted by ‘delightfully silly’ international cabaret compere Peggy De Lune, who’ll appear on alongside glittering showgirl Lena Mae, who will dazzle the audience with her classic burlesque routines.